In our recent Duke Energy blog, we discussed Movement Marketing as a way to inspire team members and follows to work together to achieve common goals. This week, we are going to put a spin on Movement Marketing and take it all the way back to the literal sense—getting people to the right location within your organization. Although we are not necessarily dealing with income tax, our friend Albert was on to something. 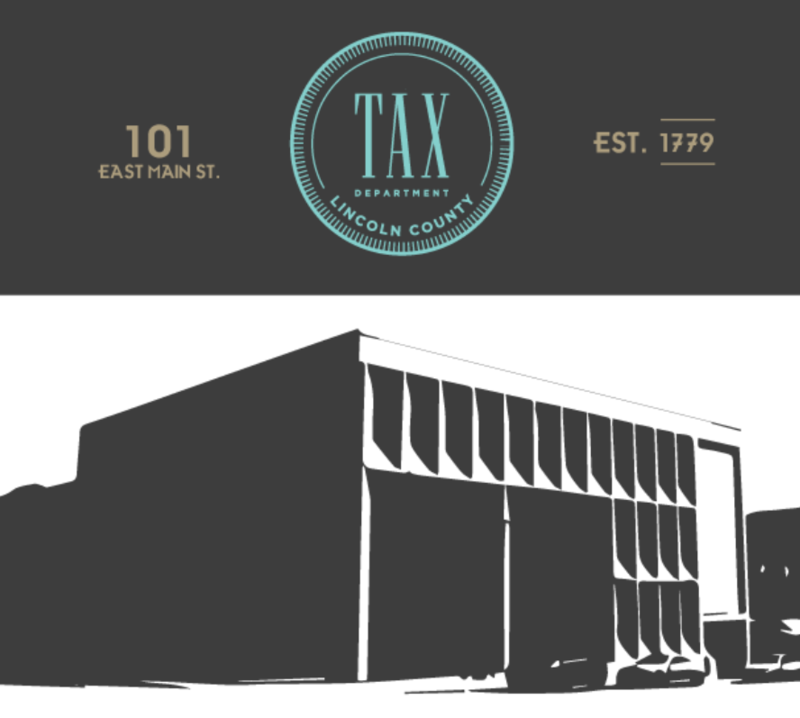 Taxes are hard to understand, even right down to where you go to pay them. 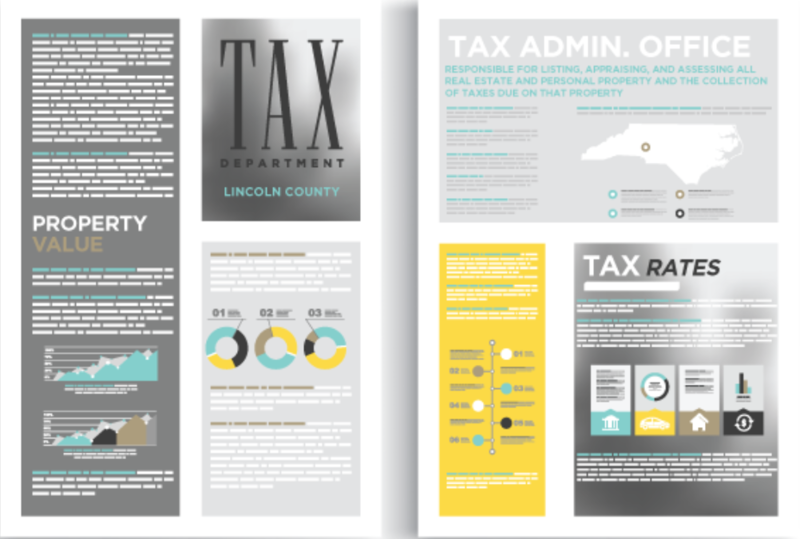 For this project, we worked alongside the Lincoln County Tax Administration. The County had just finished a remodel project within the building, and needed new signage to suit the new digs. As with most of our other projects, we saw the opportunity within the opportunity. 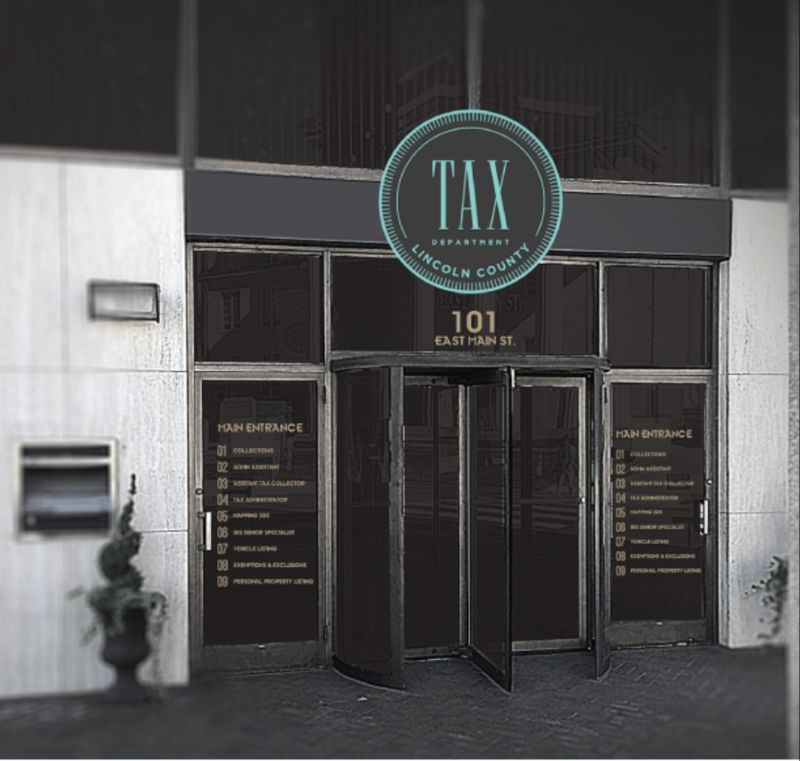 We would not only be installing wayfinding signs in the tax office, but creating a system of movement that could potentially save our neighbors and county employees time and stress by reducing confusion and increasing efficiency and flow. Another bonus for us is that we love making our hometown beautiful! When you think of a county building, you likely picture a very bureaucratic looking, formal structure. Our intention with the design was to hit the sweet spot between classic utilitarianism and modern design. We wanted to create a movement system that people could trust, but also interesting and contemporary enough to be beautiful and engaging. Check out our designs, and tell us what you think in the comment section below! 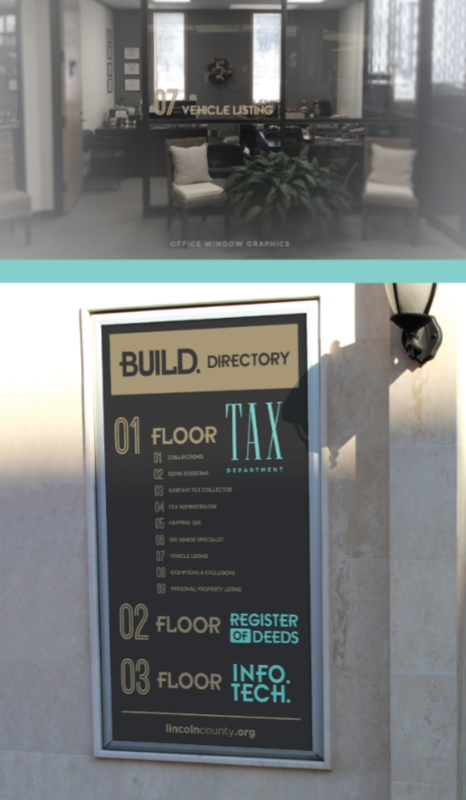 Need to create some movement with wayfinding signs at your business? Give us a call today for a free consultation. This entry was posted in Uncategorized and tagged Marketing Tools. Since 2012 Visual Inception has been providing innovative marketing tools for businesses.